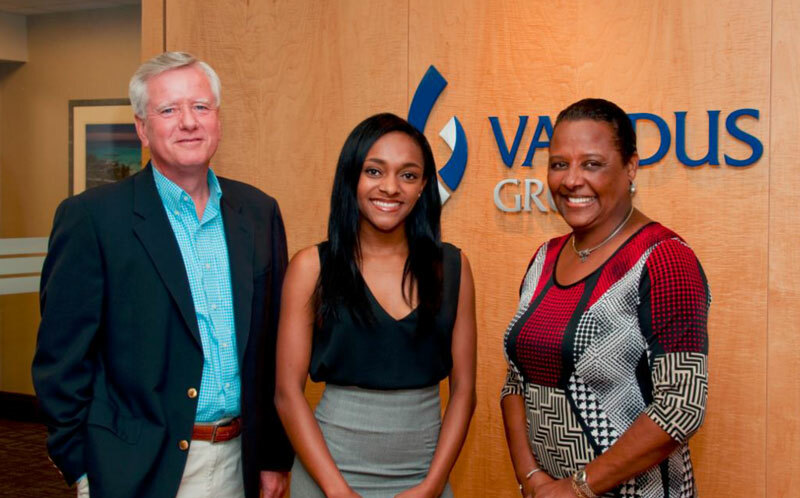 Validus Holdings, Ltd today announced the winner of its Validus Scholarship, an annual program, now in its second year, that provides financial support to Bermudian students aimed at cultivating academic achievement, community involvement, and leadership skills. Kyra Hodsoll, currently a second-year participant in Validus Summer Student Program and a student at Kingston University in the United Kingdom, has been named the 2016 Validus Scholar. The Validus Scholarship provides funding to a Bermudian student who is pursuing an undergraduate degree at an accredited university. The scholar is selected based on academic acumen, financial need, good character and community involvement. On becoming the scholarship winner, Kyra Hodsoll said, “I am honored and truly thankful to be Validus’ 2016 Scholarship candidate. “After reviewing many outstanding candidates, we chose Kyra based on her strong work ethic and commitment to excellence, which she exceptionally demonstrated throughout the interview process. We are delighted to support her through her undergraduate education,” said Ed Noonan, Validus’ Chairman and Chief Executive Officer. Thank you Validus Re …………….. what would we do without these wonderful exempt companies… Their generosity is overwhelming and should be very much recognized and appreciated by all ! Well done Kyra…I know on w your family is very proud of you have specially Mom.